Hanoi (VNA) - Indonesia's capital city Jakarta inaugurated on March 24 its first mass rapid transit (MRT) system, a project seen as crucial to addressing its worst traffic congestion. 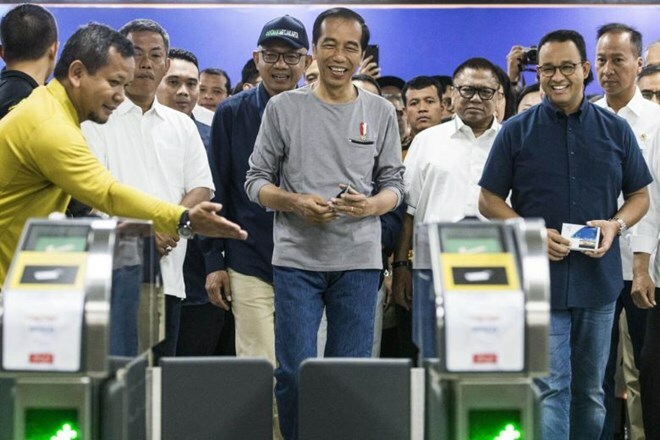 President Joko Widodo and other officials attended the inauguration ceremony for the 16km line, which was built for almost six years. The new line, which cost around 1.1 billion USD, is scheduled to open to the public on March 25 with tickets slated to be free during the first week. The train system runs above and below ground and stretches from the central Hotel Indonesia to the southern reaches of the South-east Asian megalopolis of some 30 million people. It aims to cut travel time between the two points to just 30 minutes from about two hours, offering some relief to frustrated commuters long used to spending much of their day stuck in traffic. Construction on a second line linking downtown to Jakarta's northern port also began on March 24, and is expected to be completed around 2024.